The Osun State governorship candidate of the Peopleâ€™s Democratic Party, PDP, Senator Ademola Adeleke has reaffirmed his faith in the Nigerian judiciary, describing the institution as a â€œcitadel for justice seekersâ€. Speaking while receiving a group of Osun State indigenes, who paid him a solidarity visit in Abuja, Adeleke said the judiciary is a stabilising and balancing institution which strengthens democracy and enhances good governance. â€œI have faith in the judiciary to do justice not just in the case at the tribunal but in all cases. My lords, judges are men and women of integrity who can be trusted to ensure equity and fair play in all matters before them,â€ he told the visiting group. 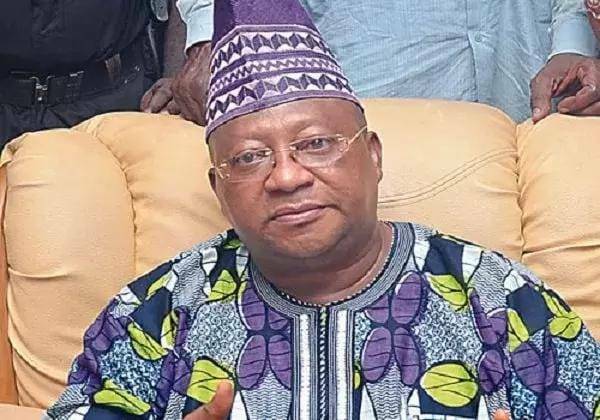 While urging his supporters and the people of Osun State to remain calm, Adeleke said he remains resolute in his commitment to retrieve the â€œstolen mandateâ€ of Osun people, saying, â€œBy Godâ€™s grace, we shall triumph. Speaking earlier, the leader of the team, Alhaji Ademola Folorunso, said they came to associate with the Senator and to encourage him not to relent in pursuance of â€œthe stolen mandateâ€. â€œWe are Osun professionals here in Abuja. Our visit is to assure him of our continued support as we enter the legal phase. We voted for him and we know he will soon assume the governorship of the state,â€ Folorunso said.